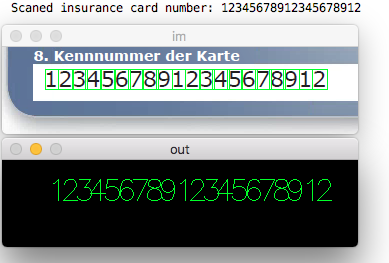 I wrote a python script using the OpenCV framework to detect digits on a credit or insurance card. The code works simply as two parts. The aim of the first part is to train the script with possible images. Once the training is done, you can test your scanned image (i.e. credit card or insurance card).